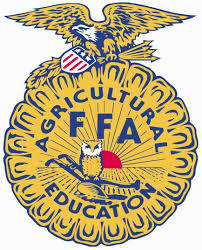 I volunteered this past weekend to help judge an FFA competition called Ag Sales. The students have a product and they have a mock sales situation where they try to sell you the product. To be honest I had a long night before, I was feeling very tired, and wasn’t sure I was up to spending my Saturday morning working with high school students. But then after I got there and started to go through a few scenarios, I realized how glad I was that I took the time. These students reminded me not only of how important FFA was to me as a student, but also how much it has helped me even to this day. With something as easy as selling a product (or as difficult as it feels sometimes) there are so many skills you are learning along the way. Some examples are how to talk to adults, how too work in situations where you have to think on your feet, and how to prepare before walking into a task. A lot of the parents of high school students that I talked to during breaks mentioned that the best thing FFA has done for their kids is teach them so many good lessons that are lost in schools today. Even something as simple as how to shake a hand, how to look people in the eye when you talk to them, and how to be respectful. I don’t have kids in high school yet, my first is actually still incubating in my ever growing middle section, but I am glad to see that there are places in school to still find where manners are being taught. Many times people think of FFA as just a group of people who want to farm, but the reality of what students take with them from the FFA experience is so much more than that. In the end it comes out as a group of people who range in occupations from farmer to lawyer, from teacher to engineer, even doctor to salesman. All walking into life with just a few more of those common skills, that at times feel as though are lost in our modern society. I’m glad that I took the time that Saturday morning. It was a great reminder of my good FFA experience, but also it was great to participate with students now, who in 15 years will be looking back realizing how lucky they were to have the same opportunities (all while wearing that interesting blue corduroy jacket! ).